Ligaments are tight, fibrous bands that connect bones and facilitate movement of the joints. The skeletal system, which includes bones, ligaments, and cartilage, gives structure to the body. 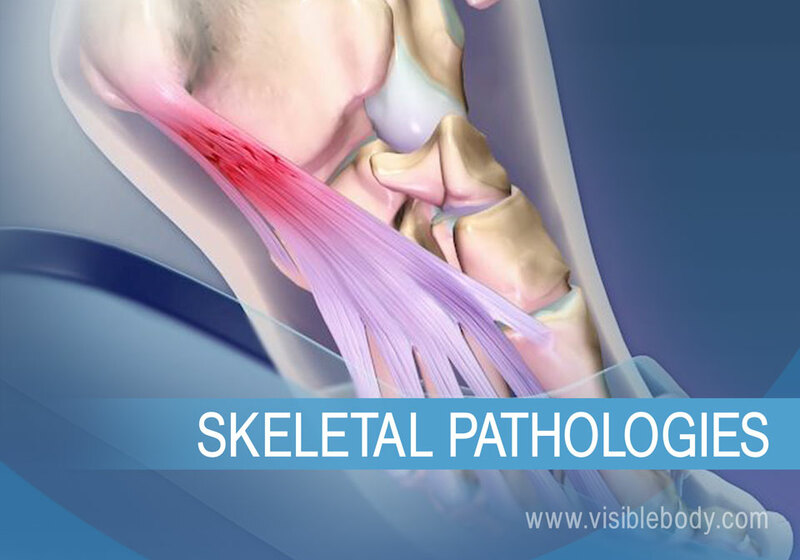 The pathologies described below can occur when stress and aging affect the skeletal system. 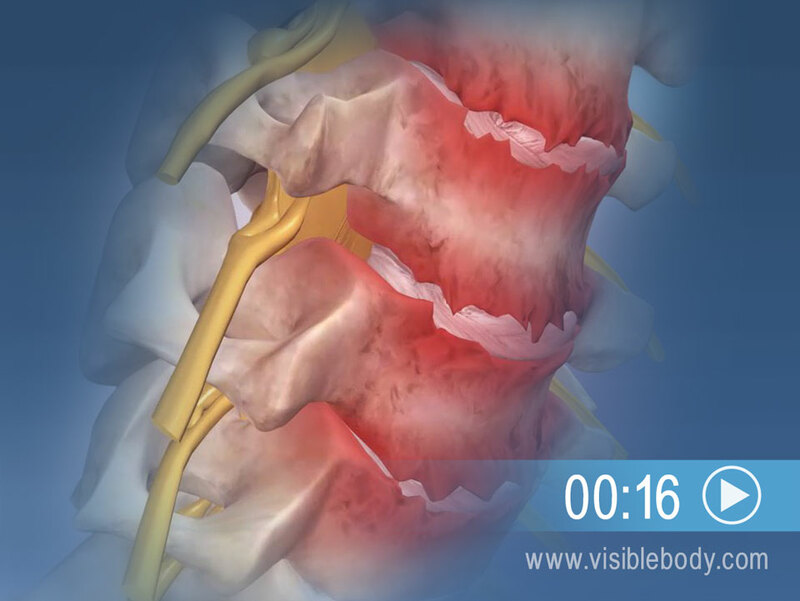 The lumbar spine bears the weight and stress of the body. As a result, disc herniation can occur, which affects spinal nerves. The sciatic nerve, which starts at the lower back and travels down the back of the leg, is often affected. When a disc herniates, it can pinch the nerve. This is a common cause of sciatica. Sciatica typically affects one side of the body, with mild to severe pain, muscle weakness, or numbness felt anywhere along the nerve pathway. As people age, bones and cartilage that make up the back and neck region submit to wear and tear. Cervical spondylosis is a type of osteoarthritis that affects the intervertebral joints of the neck region. The cartilage of intervertebral discs and the cartilage that lines the joint-facing bodies of vertebrae can degenerate over time. This pressure causes compression, leading to bulging discs. To stabilize the spine, bone spurs called osteophytes often grow from the vertebrae. These changes cause pain and stiffness. The plantar fascia is a thick band of connective tissue that runs along the bottom of the foot, connecting the heel bone to the toes. Activities such as running or dancing can repeatedly pound the feet on hard surfaces or put too much tension on the plantar fascia. This repeated strain can result in microtears of the ligament, which lead to irritation, inflammation, and pain called plantar fasciitis. With age and use, the articular cartilage in the hip joint can degenerate. The tissue becomes frayed and rough, exposing the bone surfaces beneath, making movement painful. 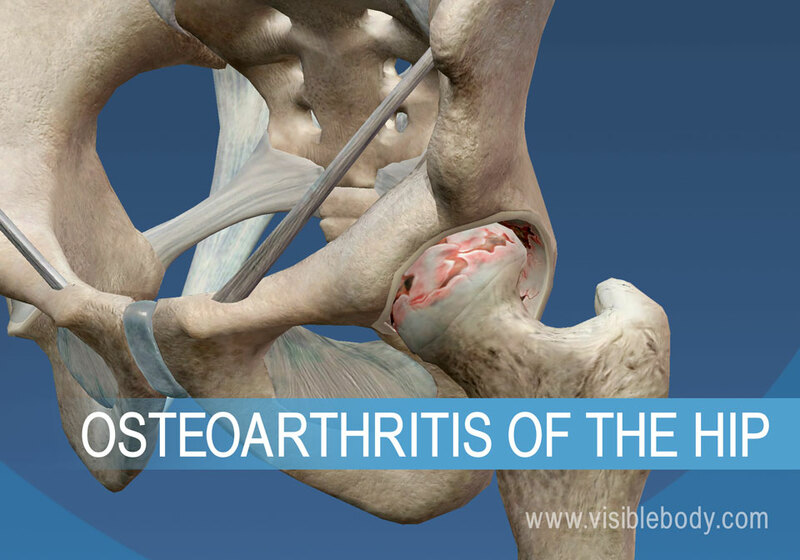 This condition is diagnosed as osteoarthritis, also known as degenerative arthritis or degenerative joint disease. Degeneration of the articular cartilage and osteoarthritis are caused most often by wear and aging. A previous injury to the hip joint, bone deformities, or stress from repetitive physical activities may also cause or increase the likelihood of this condition. Other associated risk factors include obesity and a family history of osteoarthritis. Symptoms include stiffness, pain, and tenderness. Bone spurs may also form around the joint, causing further pain. The knee joint contains bones, muscles, and ligaments that flex, rotate, and pivot during normal range of motion. A knee sprain can occur when a jump or sharp pivot twists or hyperextends the joint. 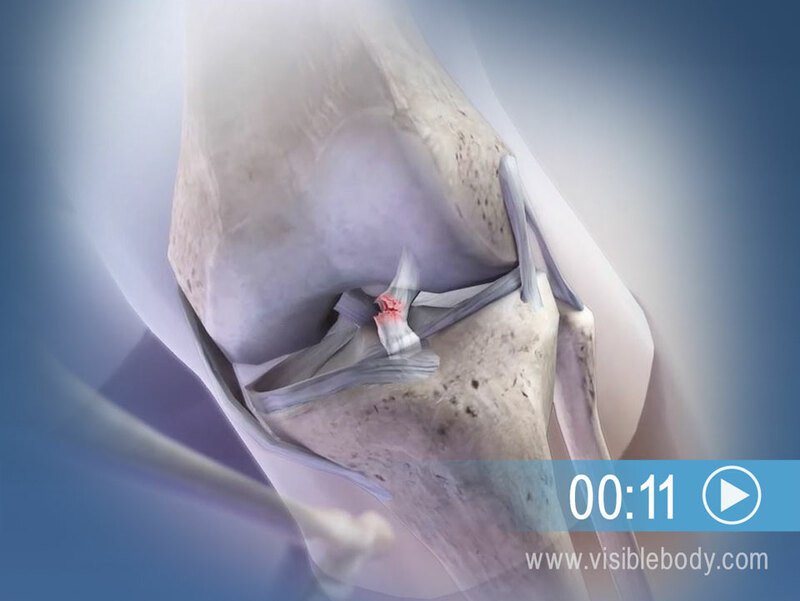 The force can damage or tear one or more knee ligaments, such as the anterior cruciate ligament, which connects the end of the femur (thigh bone) to the top of the tibia (shin bone). ACL injuries commonly occur during sports activities. An article in Science Daily on preventing plantar fasciitis. A list of musculoskeletal system diseases from the Des Moines University Online Medical Terminology Course.